A precipitous U.S. troop withdrawal will undermine critical U.S. interests in Syria. 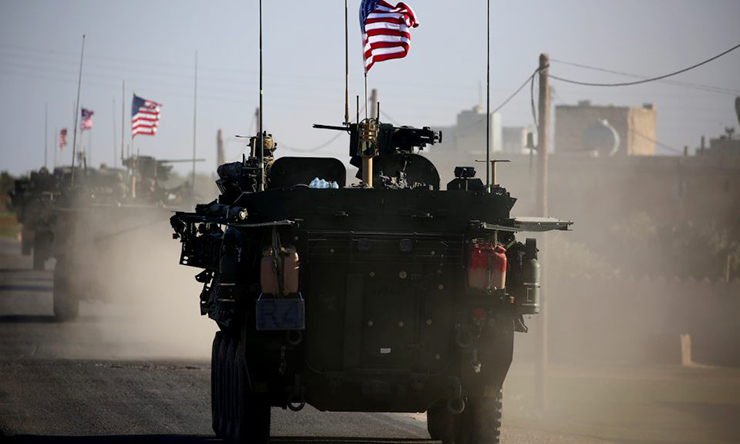 The U.S. troop presence serves as a key pre-condition for a newly invigorated U.S. Syria policy focused on the enduring defeat of ISIS, the withdrawal of Iran from Syria, and the rejuvenation of the Geneva Peace Process. …U.S. forces on the ground have also served as a key counterweight against Iran and Russia. In particular, this derivative benefit has countered further Iranian expansion into eastern Syria. 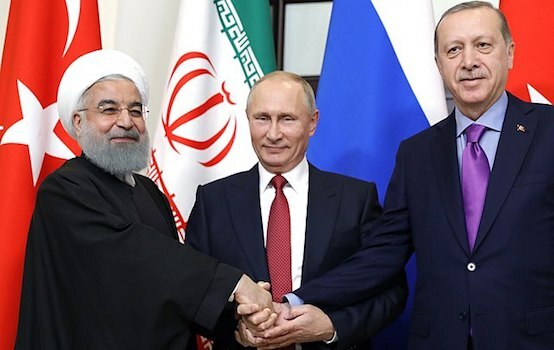 Should the U.S. withdraw, Iran as well as Russia and the Assad regime will be well poised to exploit the vacuum that will be created. In other words, the USIP insists that the end of America’s illegal occupation and military campaign inside of Syria – not authorized by Congress as per the US Constitution and in violation of international law as per the UN Charter – is unfavorable because it would allow the internationally recognized, sovereign government of Syria to reassert control over its own territory. The USIP article also insists that a US troop withdrawal would deprive the US “of leverage to rejuvenate the Geneva Peace Process.” Or in other words – impair Washington’s ability to shape the face of the Syrian government emerging post-war. The USIP never explains why Washington is owed this unwarranted authority over Syria’s internal political affairs. The US Institute of “Peace,” also claimed as an undesirable implication of a US troop withdrawal – the possibility of Syria’s Kurds negotiating with Damascus – a key prerequisite for peace in Syria. The Kurds may decide they have no choice but to negotiate a deal with a regime, albeit on weaker terms than before. An article defending an illegal invasion and occupation, denying Syria its own sovereign right to protect the territorial integrity of its nation, and even citing negotiations between conflicting parties within Syria as contradictory to US interests – directly contradicts USIP’s supposed mission statement. Nothing about USIP’s article should come as a surprise. It has couched US regime change in Syria behind the notion of promoting “peace” for years. And before that, did so in Libya and numerous other US-led wars. It was in 2012 that the USIP was busy preparing plans and even a constitution for what it had hoped was a soon-to-be divided and destroyed Syria in the same vein as Libya or Iraq was before it. For the last six months, 40 senior representatives of various Syrian opposition groups have been meeting quietly in Germany under the tutelage of the U.S. Institute of Peace (USIP) to plan for how to set up a post-Assad Syrian government. The project, which has not directly involved U.S. government officials but was partially funded by the State Department, is gaining increased relevance this month as the violence in Syria spirals out of control and hopes for a peaceful transition of power fade away. The leader of the project, USIP’s Steven Heydemann, an academic expert on Syria, has briefed administration officials on the plan, as well as foreign officials, including on the sidelines of the Friends of Syria meeting in Istanbul last month. Far from the USIP’s supposed mission of promoting peace, this project was instead conducted solely with Western-backed opposition groups. As the US State Department and Department of Defense along with intelligence agencies worked to violently overthrow the Syrian government, the USIP worked with opposition groups to develop plans to replace the sovereign government of Syria and overwrite its independent institutions with those dependent on and obedient to Washington. Nowhere were efforts by the USIP to foster peace between the opposition and the Syrian government mentioned. We have very purposely stayed away from contributing to the direct overthrow of the Assad regime. Our project is called ‘the day after.’ There are other groups working on the day before. 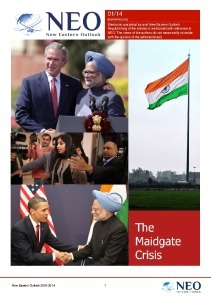 “This is a situation where too visible a U.S. role would have been deeply counterproductive. It would have given the Assad regime and elements of the opposition an excuse to delegitimize the process,” Heydemann said. The US is most certainly involved in both efforts to topple the Syrian government and shape the government that emerges in the aftermath of the war – regardless of whether the US’ role in this is “visible” or not. Despite the US government attempting to violently overthrow the Syrian government and preparing a client regime to take power in the aftermath – through the USIP’s efforts – USIP’s Heydemann himself admits attempts were made to make this less visible – specifically because of how bad it not only looks, but how criminal it actually is. While the US Institute of Peace may not be directly involved in the military aspects of US-backed armed proxy wars, it is playing a direct role in leveraging the violence – not to achieve peace – but to handle the administrative aspects of US military conquest, merely couched behind the notion of peace. Whether it is preparing a client regime to take over in the aftermath of US military intervention, or making a case for perpetual and very illegal war – the US Institute of Peace is anything but – unless we are to understand “of” instead of “for” in the context of using the notion of peace to sell war and the objectives the US hopes to achieve by waging it – rather than any effort made toward achieving actual peace.